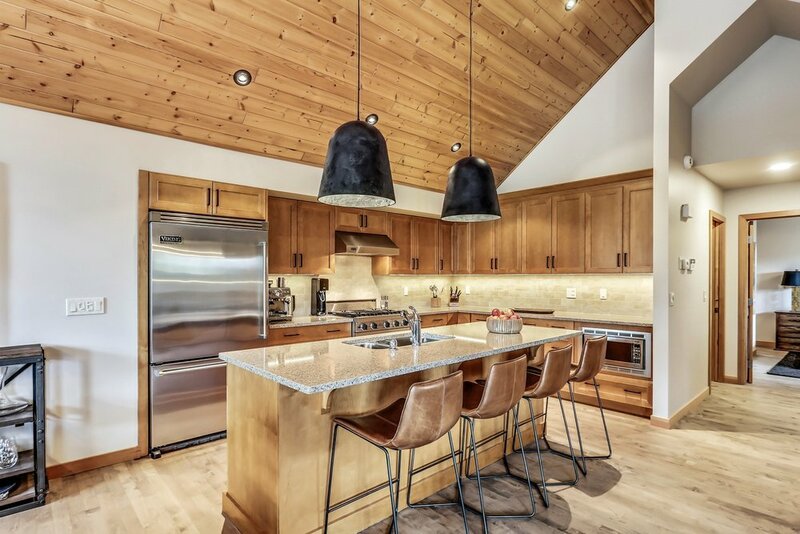 These returning clients purchased a mountain retreat in Canmore, Alberta and asked us to work with their designer to bring some personality into this property with it's traditional Canmore feel. We completely redesigned the layouts of the bathrooms to create the master ensuite our clients had been dreaming of. 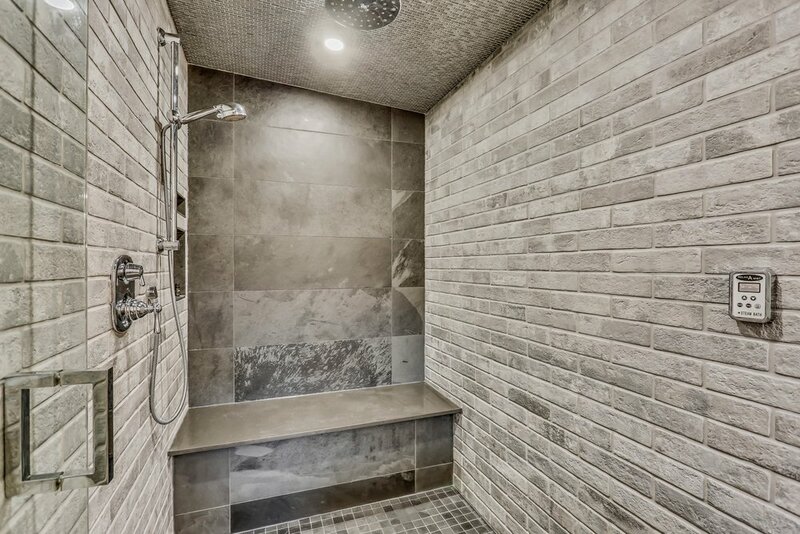 The walk-in steam shower, 15 foot custom vanity, and heated tile flooring are the perfect place to relax after a day climbing or hitting the slopes. 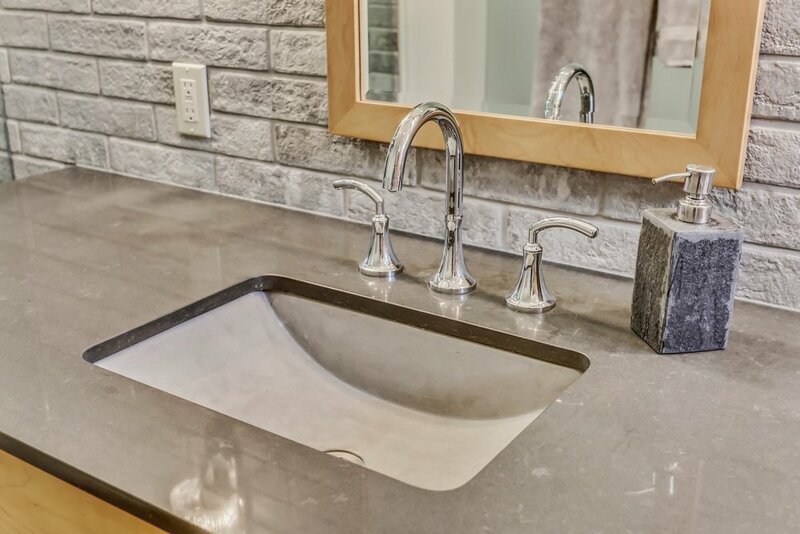 The new powder room packs a moody punch with glass tile, textured wallpaper, a copper sink and mirror, and a stunning pendant light. 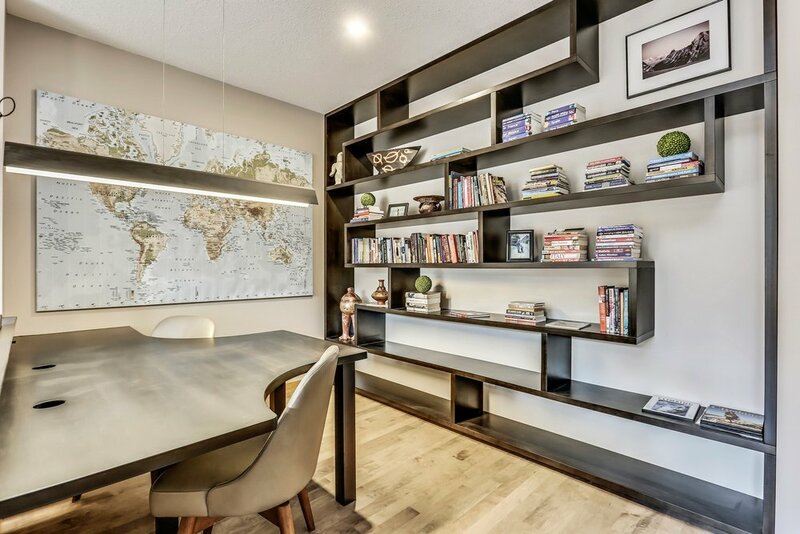 Other updates include a revamped fireplace, re-stained hardwood floors, new railings, lighting and hardware updates in the kitchen, custom 11 x 9 foot book shelf and desk for the office, a new outdoor fire pit, and much more! "The work completed exceeded my expectations. Neal and his crew's attention to detail has been outstanding. Shortly after our renovation began, I doubled the scope of the job, and Neal accommodated the increase and changes to the schedule."